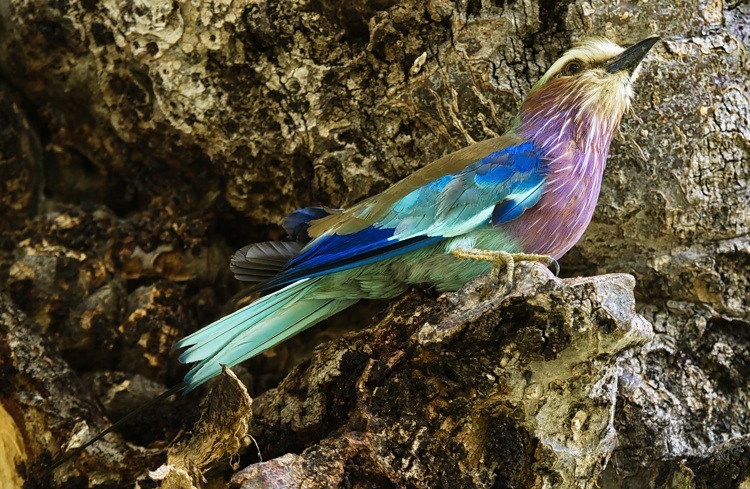 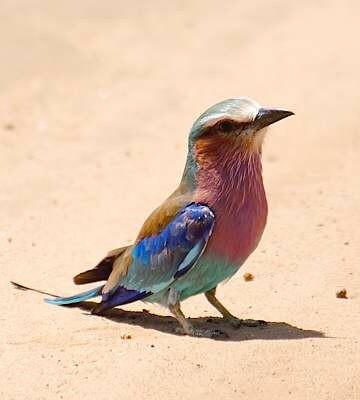 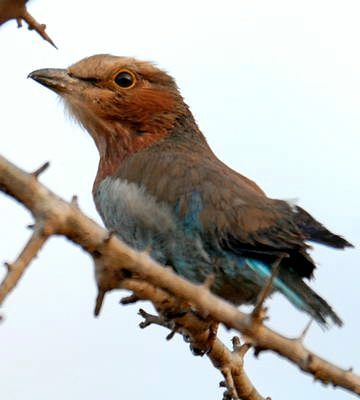 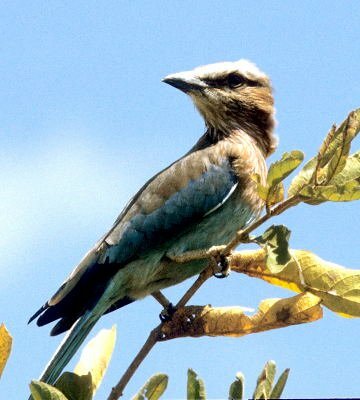 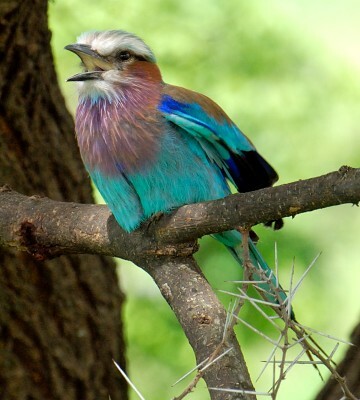 The photo above of a "lilac-throated" roller, the lilac--breasted subspecies lorti, was taken in the northern corridor of the Serengeti (2-11), courtesy of Pam Henline; the southern end of its range normally is northern Kenya. 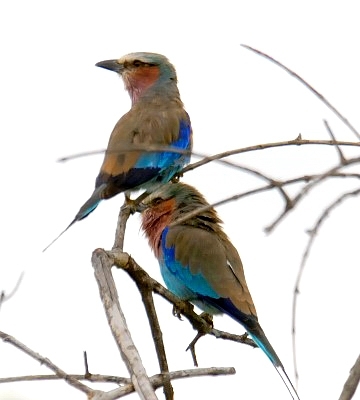 The top photo (Ruaha, 1-12) is courtesy of Stuart Webb. 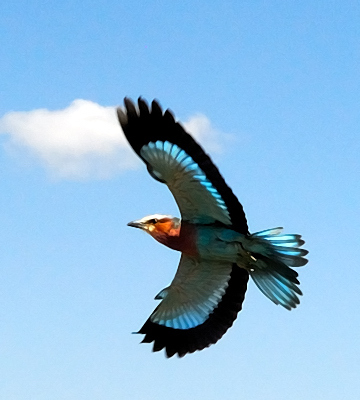 The large flight photo is courtesy of Andrew Browning. 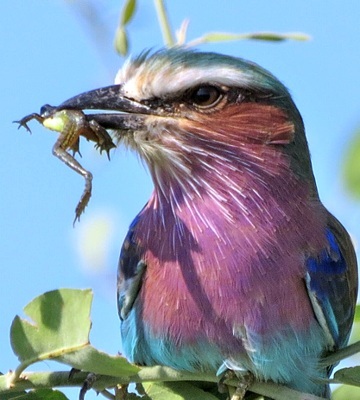 The roller with the frog is courtesy of Brad Johnson; the roller with the grasshopper is courtesy of Stacy Fong. 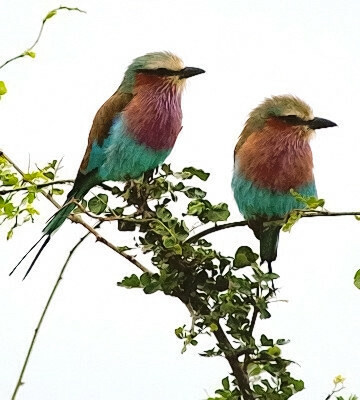 The juvenile and immature in the 5th row were both seen in Tarangire. 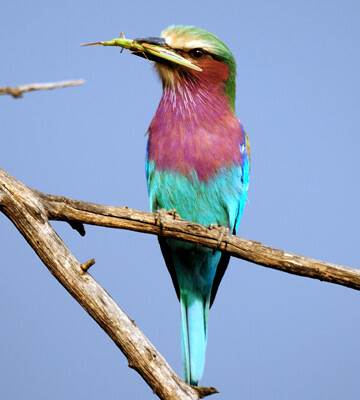 The enlargements include another lorti, a mating pair and a fledge; chicks and fledglings have a bright yellow-orange eye-ring. 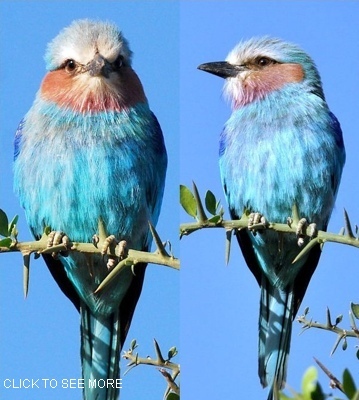 Click the photo above to see the enlargements.